In between thunder & lightening and the heaviest showers I think I've ever seen, we had our first visitors from Brazil!! Two representatives for four plots and they were from GLENCOE FARM (!) in Recife, Brazil. 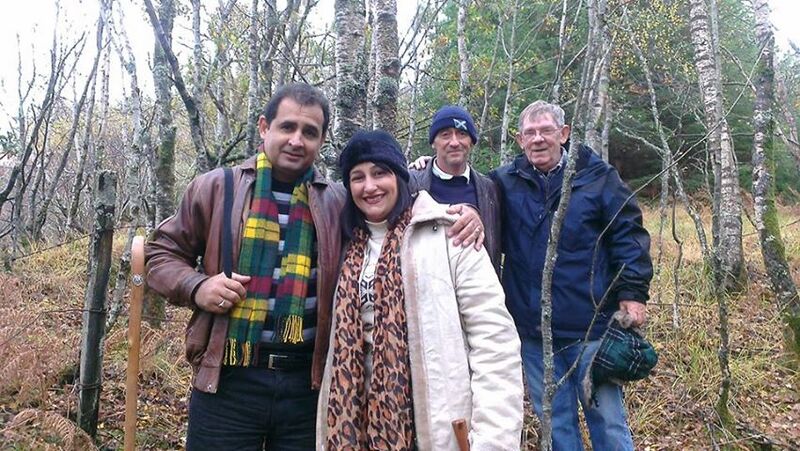 In the photo is Lord Hamilton Alves Pessoa and Lady Flavia Renata Alves Pessoa with a couple of Scottish guests/guides. Back home there are Lord Gabriel Alves MacHamilton and Lord Nicholas Alves Mac Hamilton. Sorry about the weather, couldn't have been more different from Brazil - must have been freezing - but still smiling!